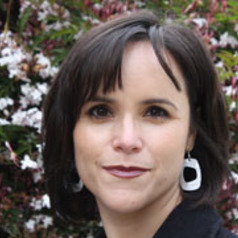 Lisa García Bedolla's research interests center around the civic engagement, community activity, and educational success of ethnoracial groups in the United States, with a particular focus on the intersections of race, class, and gender. This interest has led her to engage in an in-depth ethnographic study of Latina/o civic engagement in two southern California communities, a large-scale experimental study of voter education and mobilization in central and southern California, and a historical exploration of the race, gender, and class inequality at the heart of the founding of California's public school system. She is author of Latino Politics (Cambridge, UK: Polity, 2014), winner of the best book award from the American Political Science Association Latino Caucus, and Fluid Borders: Latino Power, Identity, and Politics in Los Angeles (Berkeley: University of California Press, 2005) which won the American Political Science Association's Ralph Bunche Award for the best book in political science on ethnic and cultural pluralism and a best book award from the American Political Science Association's Race, Ethnicity, and Politics Section. She also is co-author (with Melissa R. Michelson) of Mobilizing Inclusion: Transforming the Electorate through Get-Out-the-Vote Campaigns (New Haven: Yale University Press, 2012). Her articles have appeared in the Journal of Politics, JESPAR, Politics and Gender, Latino Studies, Review of Research in Education, the Harvard Journal of Hispanic Policy, State Politics and Policy Quarterly, Social Science Quarterly, and in numerous edited volumes. She has received fellowships and grants from the U.S. Department of Education, National Science Foundation, UCLA's Institute of American Cultures, the James Irvine Foundation, the Russell Sage Foundation, the Huntington Library, and the American Political Science Association.